Ourfa is home to an abundance of trades and professions, many of which have a centuries-long history and have reached the highest levels of proficiency. That abundance and high level of development are connected to the geographic location of the city: Ourfa lies at the intersection of various trade routes; as a result, the trades as well as commerce have thrived in the city. 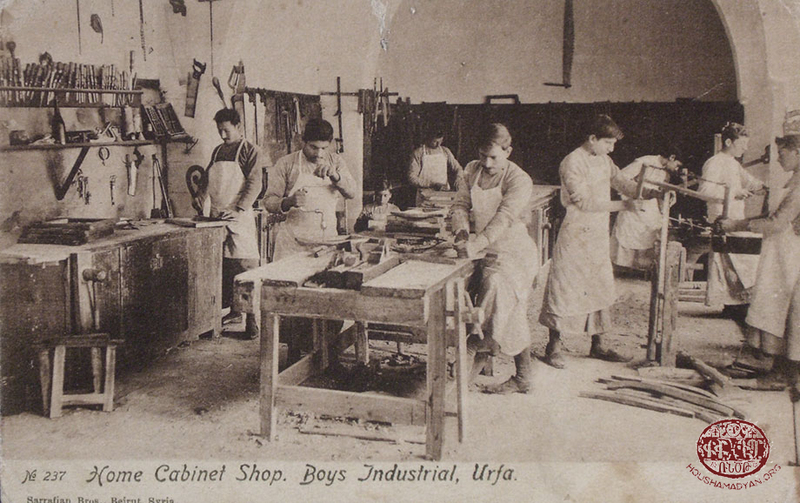 The renown of Ourfa's manufactured goods and products is the result of the expertise and knowhow of the local Armenians, who constitute the principal presence in the city's tradecrafts. Aladja [literally, "multicolored"] is a striped fabric used for the clothing of the local population. In Ourfa, it is a craft practiced by Armenians. It is the aladjadji ["maker of aladja,"] (also known as manousadji) who weaves the entari, the long robe-like loose clothing worn by men in the city and the entire region. The city has numerous aladja workshops where expert craftspeople work day in and out at their looms, sitting in their pits or across from their looms. 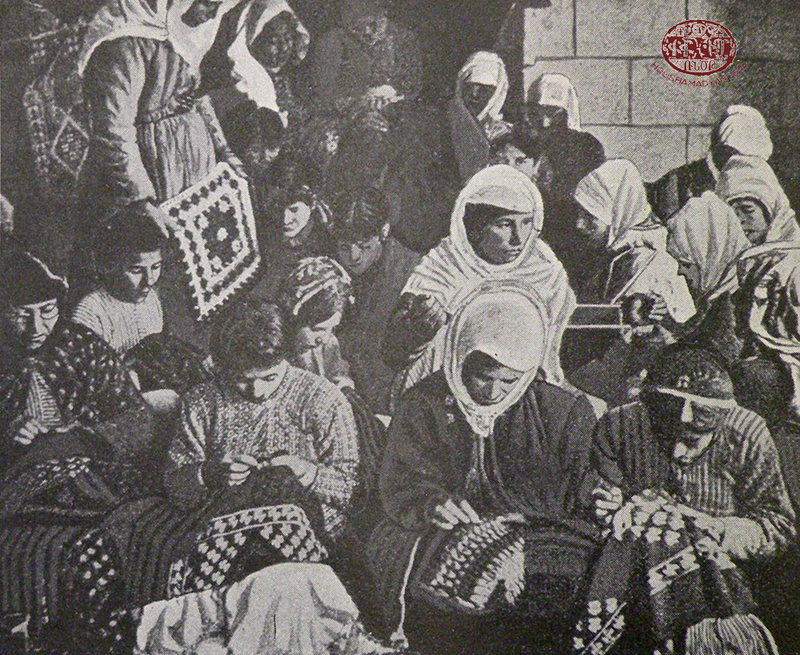 The workshops are widespread in the Armenian quarter, where many weavers work out of their homes. The Armenian quarter is densely populated, with narrow streets that are often cul-de-sacs; accordingly, during the workday, from all corners of the quarter one can hear the persistent din of the looms at work. These are highly developed crafts in Ourfa, and Armenians are prevalent among their practitioners. Basma work is the printing of floral designs and figures on white cotton or other cloth through the use of engraved woodblocks or stencils. Because at the time the use of machines was not widespread, these processes were carried out by hand. With its floral design, the 7-meter-long and 15-meter-tall altar curtain of Ourfa's St. Asdvadzadzin [Holy Mother of God] church is considered among the masterworks of the city's Armenian textile printers. 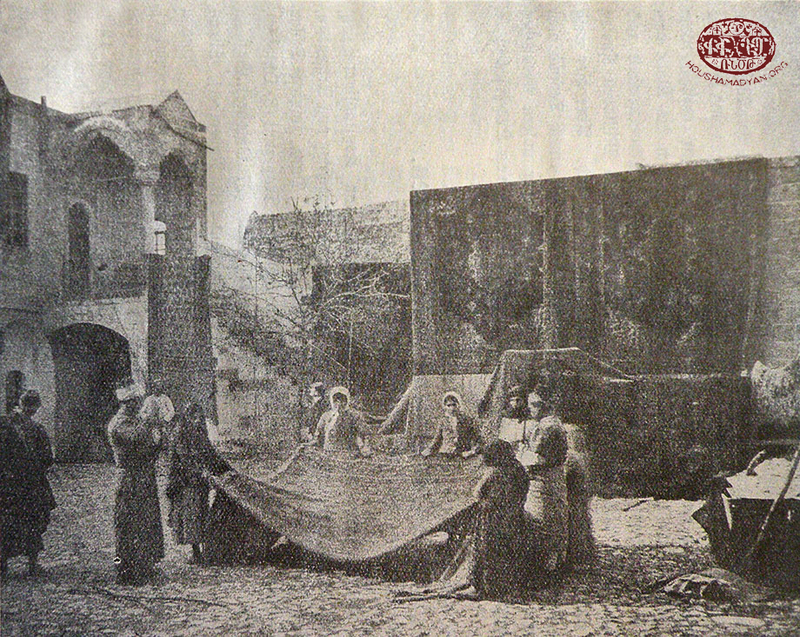 That church was burned down in 1895, during the anti-Armenian massacres throughout the Ottoman Empire; the altar curtain for the renovated church was fashioned and donated by the city's textile printers. The following craftsmen are recorded as having been among those who made the curtain: brothers Arakel, Aroush, and Avedis Misirian; Aroush Djigergants and his sons Apraham and Hovagim; brothers Sarkis, Hovsep, Aroush, and Anania Marashlonts; brothers Kevork, Nazar, and Hagop Kiziloghliyan; and Kevork Haleboghliyan. As with the tailoring trade, the Ourfa's shoemakers are also adept at making both modern, European-style and traditional local-style shoes. European styles have been widely adopted by the city's populace. Ourfatsis like to wear black polished-leather shoes. It often happens that the person wearing local clothing will, in the case of shoes, select a European style. The scene changes in summer, when the population starts to wear slippers. Especially favored are the red slippers the uppers of which are made of goatskin. 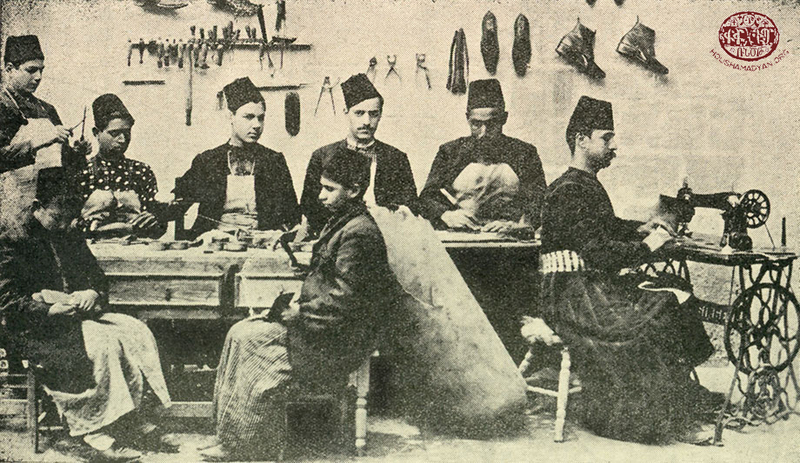 Shoemaking, too, is known as an Armenian trade in Ourfa. 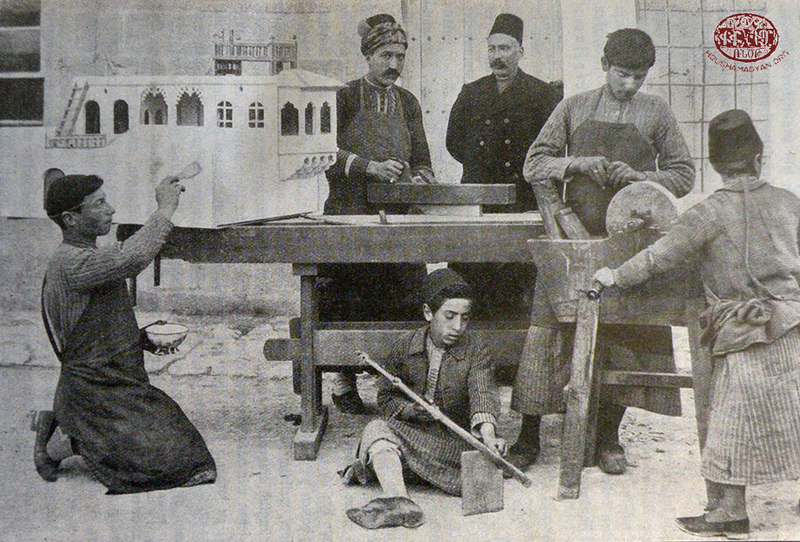 A small group of Turkish shoemakers works out of the Eskidji bazaar (cobbler's market). In total, the city's shoemakers (including cobblers) number more than 300. In the city there is a separate bazaar lined with the shops of cabinetmakers (furniture makers) adjacent to each other. This is where various types of furniture are made for the home, such as chairs, as well as agricultural implements. The majority of cabinetmakers are Turks. 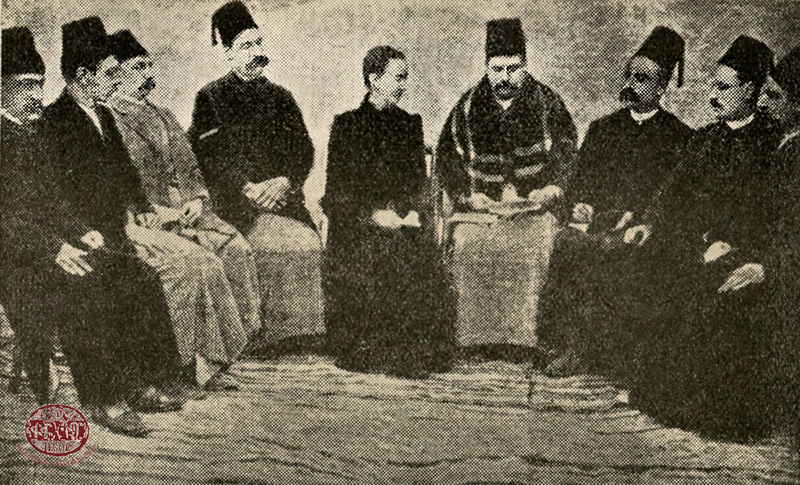 Nearly two years after the anti-Armenian massacres of 1895, the German mission was established in Ourfa's Millet Khan and was tasked with the care of orphans. It is in that khan ["inn"] that the Germans established a carpet factory, which greatly aided the development of the craft. Its manager is Franz [Hugo] Eckart; his associate is a Miss Patrunk; a Herr Masasky is the machine technician; the accountant is named Herzinger. 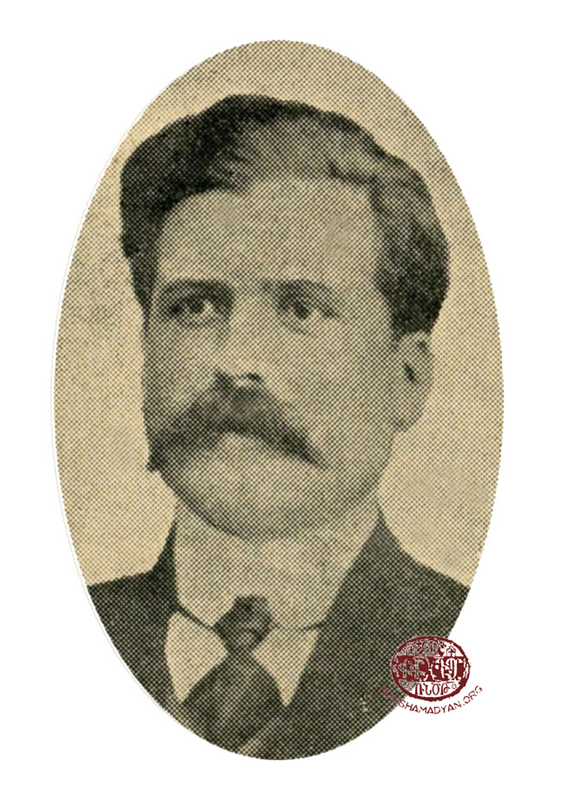 Eckart's brother, Bruno, is among the managers of the factory. The factory is known as Masmana [literally, "place where soap is made"], and it's located between the Armenian and Turkish quarters. 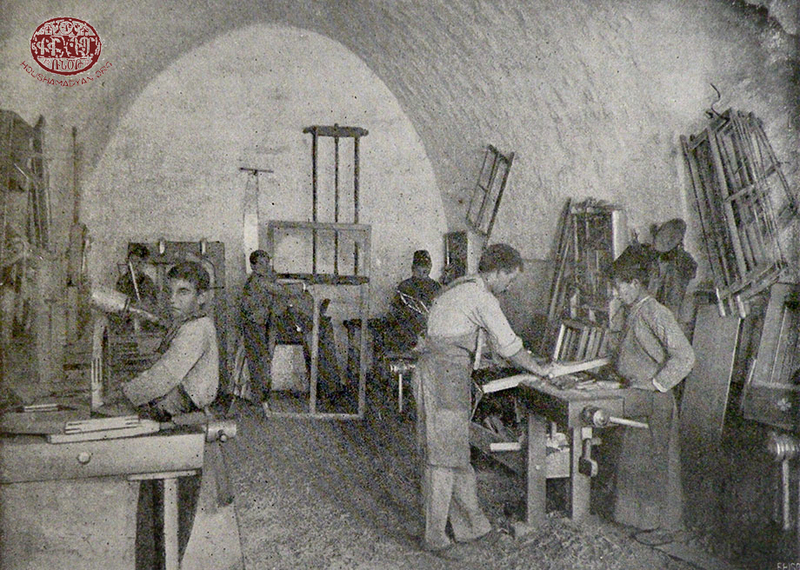 Many of the carpets produced at Masmana are sent to German and other European cities. The factory's first master craftsmen were Germans who previously worked in the German city of Friesdorf, in the carpet factory that Johannes Lepsius had established [in 1888, the profits from which he intended to use to fund his mission work in the East]. 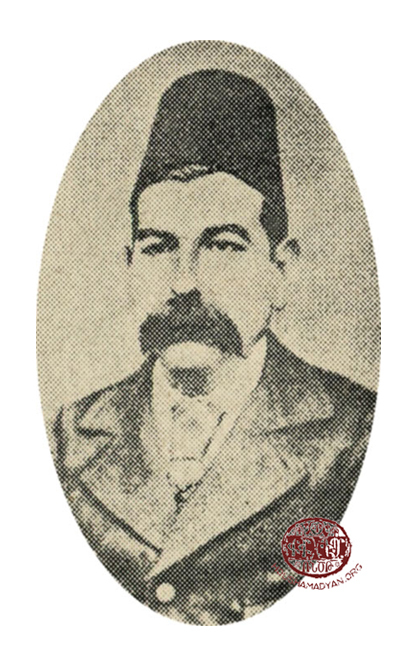 When Lepsius decided to relocate to the Ottoman Empire, he disassembled the factory and relocated it to Ourfa. Joining him were several experts from Friesdorf, including Emma Geitner (designer), Karl West (weaver and dyer), Karl Otto (machine technician), and Richard Schäfer (machine technician). 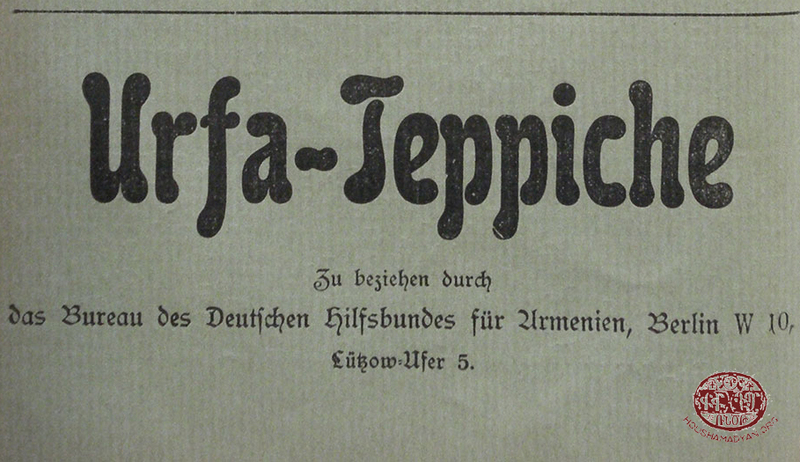 The German experts remained in Ourfa for a relatively brief period and returned to their country after having transmitted their knowledge to local Armenians. The needlework workshop was established in 1896 in the American orphanage (in the western part of the city), at the initiative of Corinna Shattuck (known to the locals as Miss Shattuck). 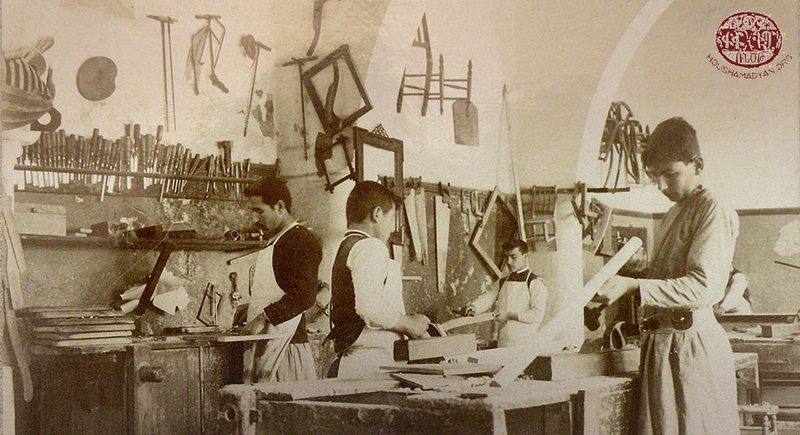 The workshop was better known to the populace as nshkhin doun, ["design/decoration house"]. 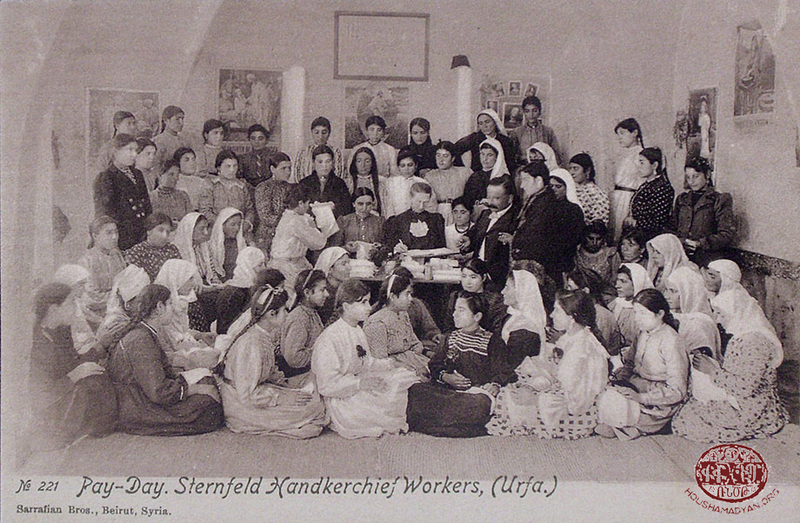 The teachers here are women who are masters of needlework: Shahmel Kalaydjian, Khorozents Khanum, mistress Horom, mistress Yeva, and H[a]zarvart Tashdjian. The names of other master needleworkers have also been recorded, including Mariam Dzarougian, Lousia Kivirian, Yeva Alahaydoyian, Yeghsa Arisdagesian, Khatoun Jamgochian, Koudtsi Aghasian, Haygouhi Garoyian, Lousia Kiupelian, Khatoun Korkigian. Farriers and blacksmiths (nalband) are numerous in Ourfa, considering that the city is surrounded by many villages and is a major commercial center on a caravan route; accordingly, horses and mules are frequently used for transporting cargo. Ourfa's farriers make the rounds of surrounding villages during spring to offer their shoeing services to the villagers. Brothers Nshan and Aghadjan Der Bedrosian: They import goods made of fine cloth, silk cloth, woolen cloth, and fabric (manifatura); they export wool, animal fat, sheep, sesame, cereals, and hides. Brothers Garabed and Hovhannes Imirzian: They import woven-fabric goods, and they export wool, sheep, animal fat, and sesame. Brothers Mgrdich, Hovagim, and Nazaret Chalian: They import woven-fabric goods, and they export animal fat, sheep, wool, and cereals. Nazaret and Hagop Kiulahian: They import goods of fine cloth, silk cloth, and woolen cloth; they export wool, sheep, sesame, and animal fat. 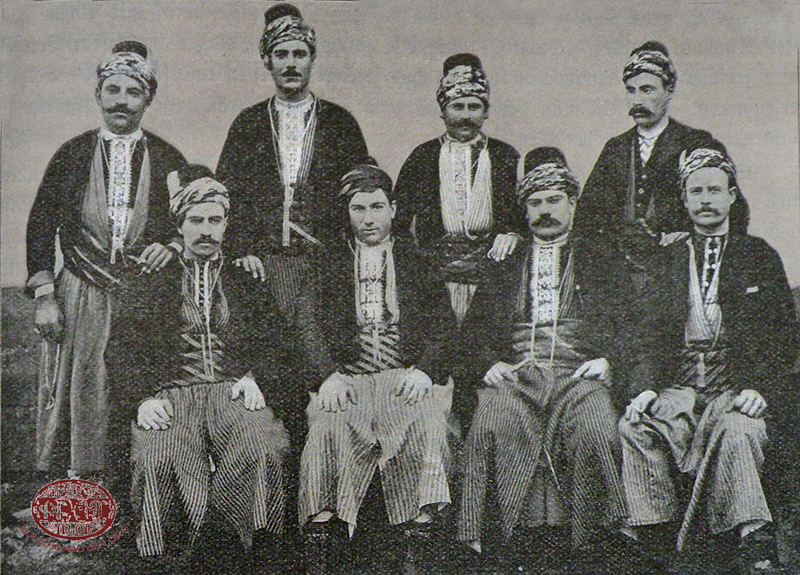 The Haladjian brothers: They import fine-cloth goods. 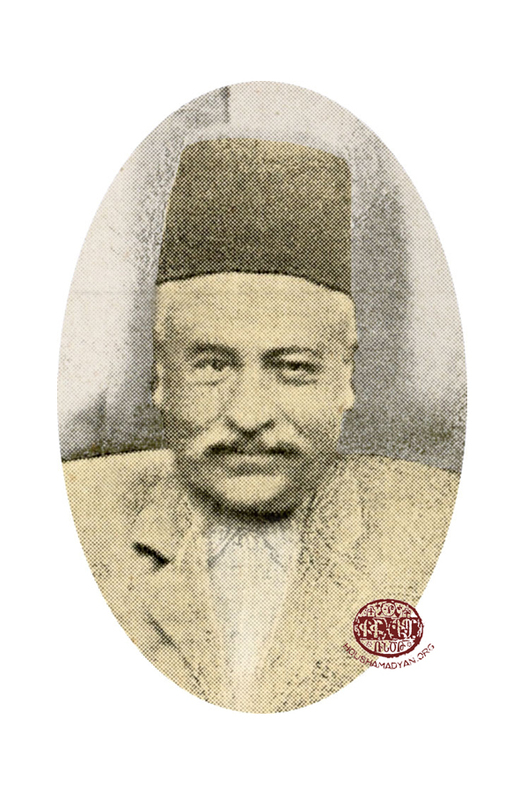 Khacher Beredjiklian: He imports yarn, copper, tin, and textiles. Markar Beredjiklian: He imports glassware and timber. 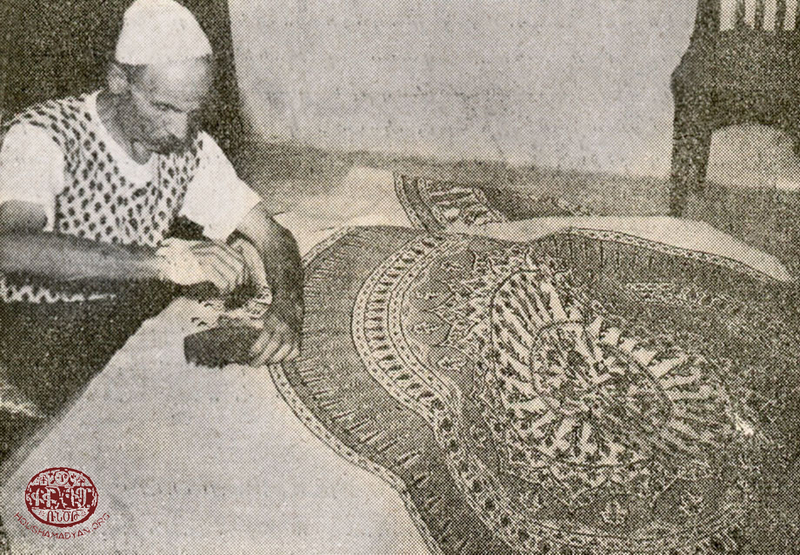 Haroutiun Kekligian: He imports woven-cloth goods and leather goods. Brothers Tavit and Hovhannes Melkonian: They import woven-cloth goods. Toros Ketendjian: He imports fine-cloth goods and exports sheep, cereals, and animal fat. Brothers Garabed and Mgrdich Karakashian: They import yarn and woven-cloth goods; they export cereals and wool. 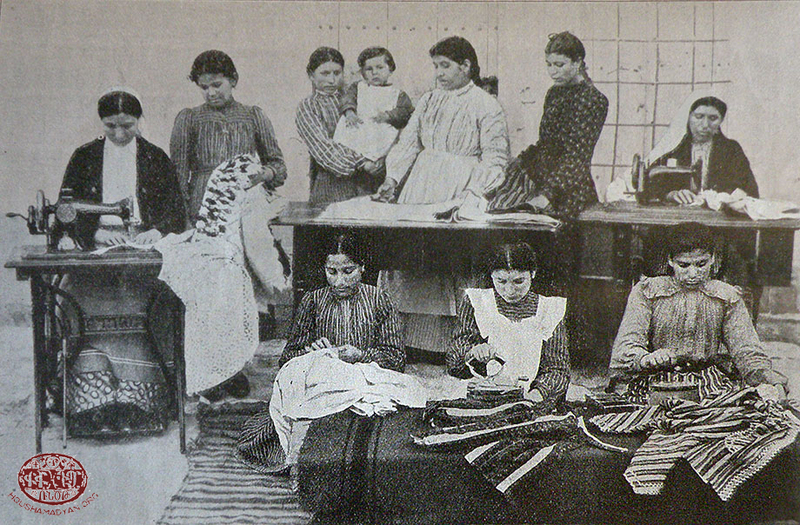 Nazaret Shamlian and brothers: They import woven-cloth goods. 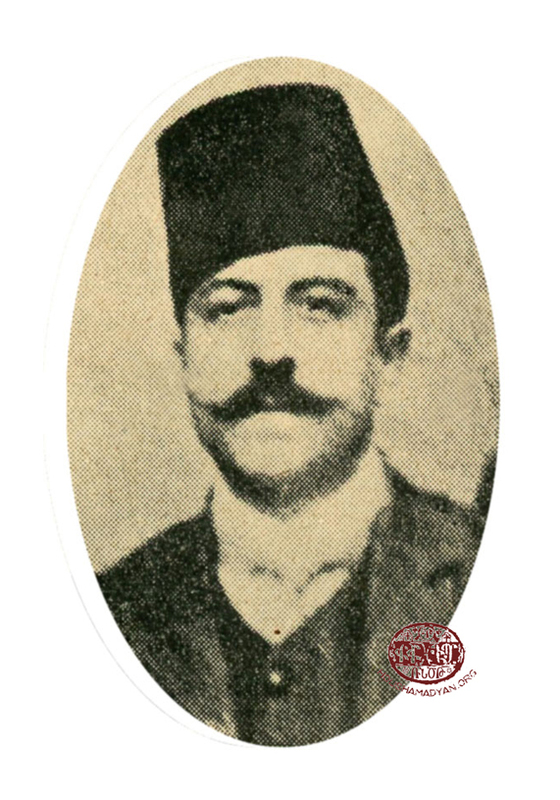 Haroutiun Cherkezian: He imports coffee, sugar, soap, and spices. 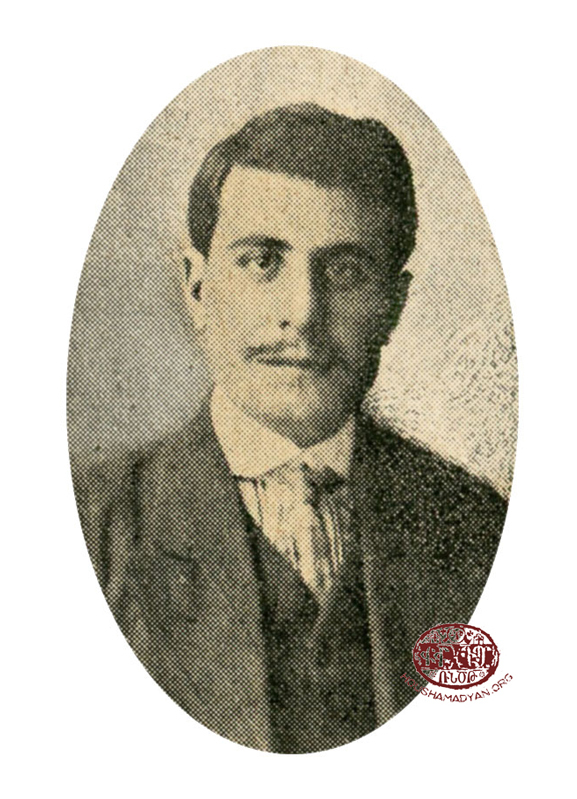 Hovhannes Karakashian: He engages in the buying and selling of items made of gold (including jewelry). 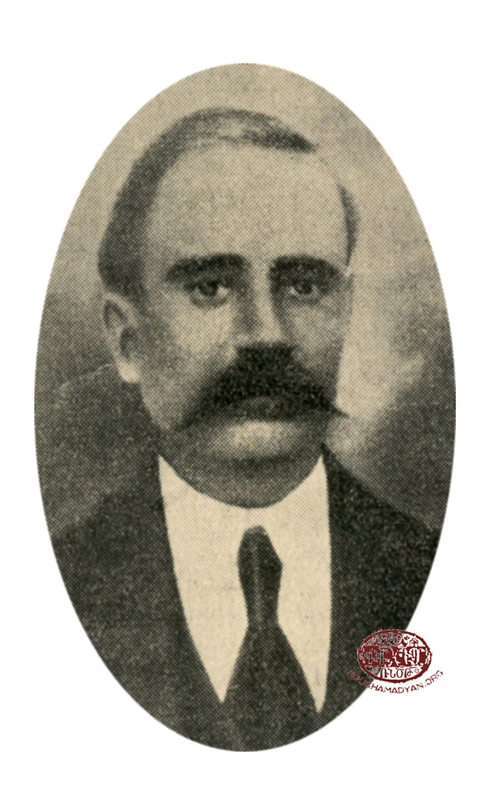 Nerses Karakashian: He is a gold/jewelry merchant. The Shishoyian brothers: They export sheep and sheepskin. 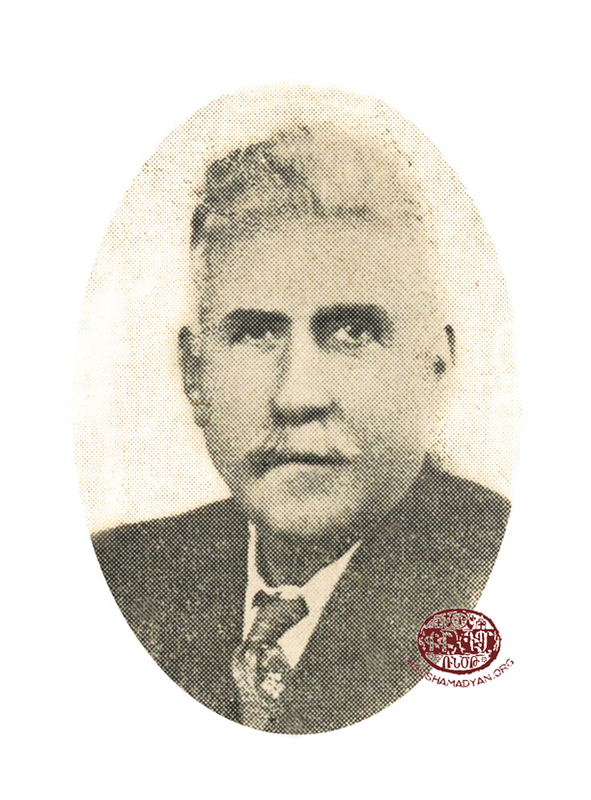 Hovhannes Djanoyian: He exports wool and animal fat. Kevork Momdjian and Haroutiun Yaghdjian: They export hides and animal fat. Garabed Yaghdjian: He imports iron goods. Dikran Tiufenkdjian: He imports leather goods. 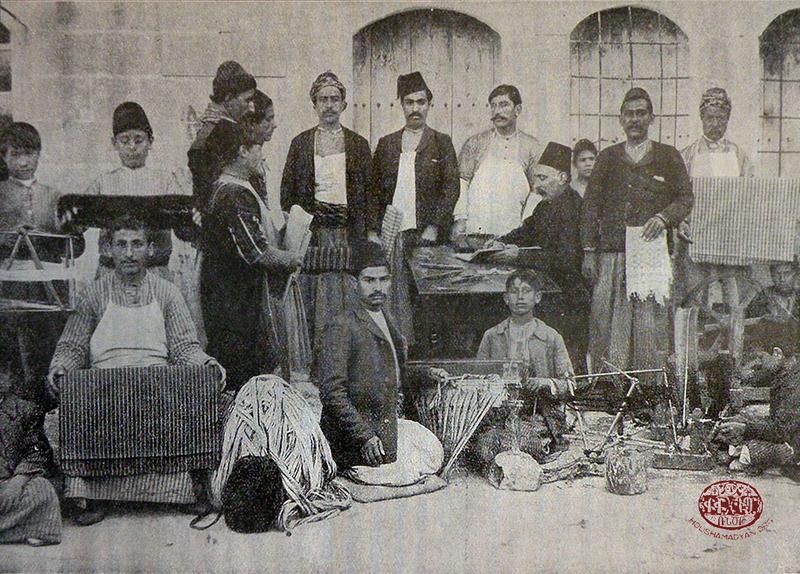 The Marashlian brothers: They export linen and printed fabric (basma). Garabed Proudian: He imports yarn and tin; he exports animal fat and sesame. 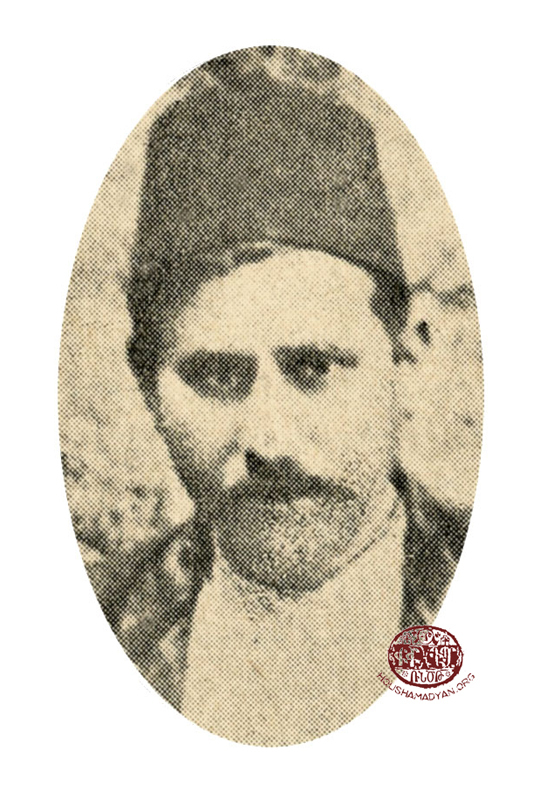 Hovhannes Taptapian: He imports iron and copper. Habib Dabbaghian: He imports iron, paint, and copper. Hovhannes Kiledjian and Hagop Tatarian: They engage in fine-cloth commerce. 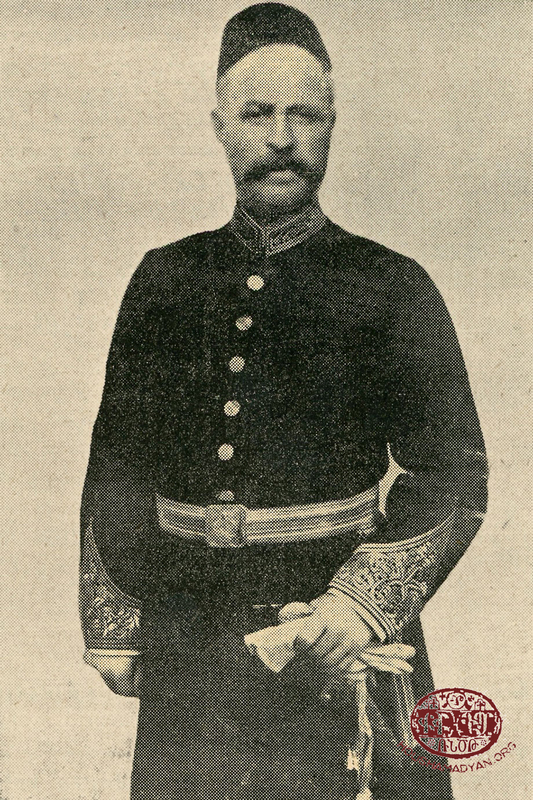 Yezegel Oundjian: He imports fine-cloth goods. 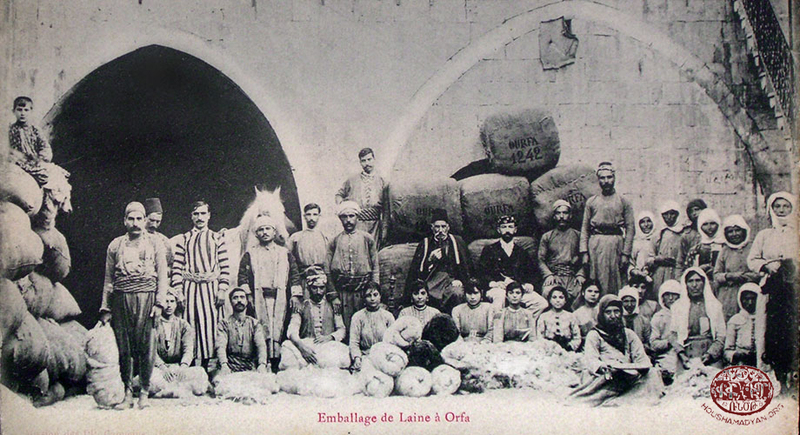 The brothers Toros and Mgrdich Touloughian: They engage in woven-cloth and cereals commerce. Mgrdich Gendj Vanesian: He imports woven-cloth goods. Kevork Keoseian: He imports woven-cloth goods. Agheksantr Kaghtatsian: He's a merchant of woven-cloth goods. 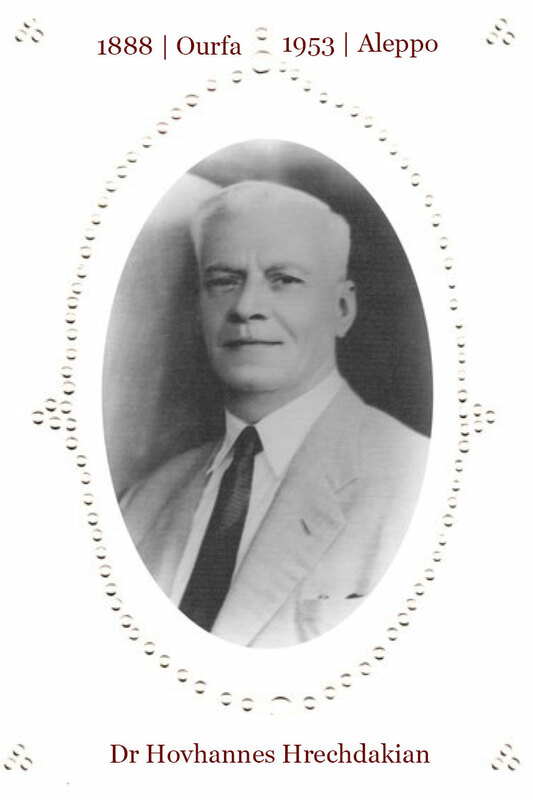 Boghos Arzouhaldjian: He's a merchant of woven-cloth goods. 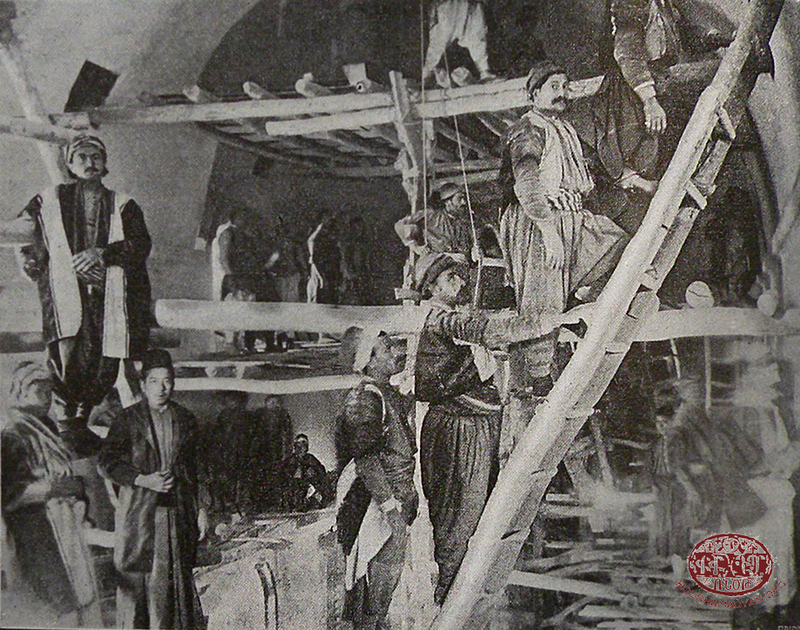 The clothing merchants are Mgrdich Beredjiklian, Hagop Tatarian, Hovhannes Knadjian, Apraham Kalemkerian, and Hagop Spendjian (their stores are adjacent to the Holy Mother of God [Sourp Asdvadzadzin] church); Garabed Bakkalian (his store is near the Holy Mother of God church); Krikor Biulbiulian (his store is on the Buchakdji Meydan [Bıçakçı Meydanı, "Knife-Seller Square"]); Boghos Djerahian (his store is in the quarter that contains the Buckakdji Meydan); Hagop Sanosian (his store is in the same quarter as the Masmana [the German-run carpet factory]); Hagop Chengeian (his store is on Chengents' street). Aram Sahagian, Heroic Ourfa and Her Armenian Offspring, Beirut: Ourfa Compatriotic Union, 1955. 601-602. Ibid., 464-465, 853; Wadie Jwaideh, Kurdish National Movement: Its Origins and Development, Syracuse University Press, Syracuse, New York, 2006. 136. Sahagian, Heroic Ourfa and Her Armenian Offspring, 604. Ibid., 193, 198, 201, 218, 227. Piuragn, Volume 25, Series 2, Issue 9-10: 239. January 27, 1907, Constantinople. Sahagian, Heroic Ourfa and Her Armenian Offspring, 459, 607. Sahagian, Heroic Ourfa and Her Armenian Offspring, 607. Ibid., 610. Also, Piuragn, Volume 26, Series 3, Issue 28: 888. July 5, 1908, Constantinople. Sahagian, Heroic Ourfa and Her Armenian Offspring, 729. Also, Piuragn, Volume 26, Series 3, Issue 23: 730. May 31, 1908, Constantinople. Sahagian, Heroic Ourfa and Her Armenian Offspring, 729-732. Also, Piuragn, Volume 26, Series 3, Issue 28: 888-889. July 5, 1908, Constantinople. Piuragn, Volume 26, Series 3, Issue 28: 888-889. July 5, 1908, Constantinople. The preparation and presentation of the website pages about Ourfa were made possible through the generous donation of the Hrechdakian family, in memory of Dr Hovhannes Hrechdakian from Ourfa.